Today is ONE STAMP, ONE DAY over at OAK HOUSE STUDIO where the Design Team and anyone else who wants to join in make projects using just one stamp. 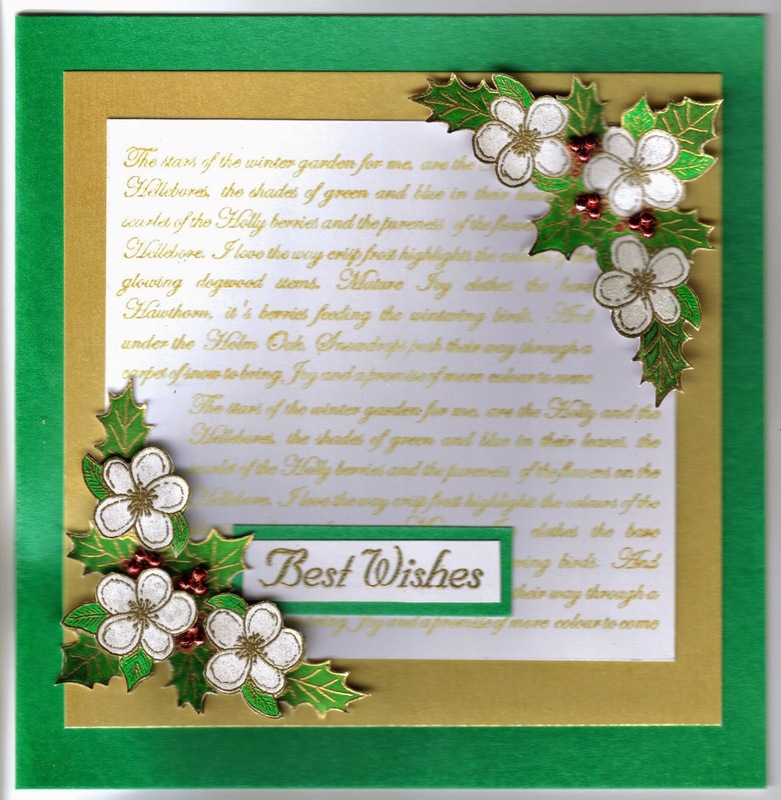 This time it is the CHRISTMAS CORNER stamp - a mix of Holly and Hellebores. 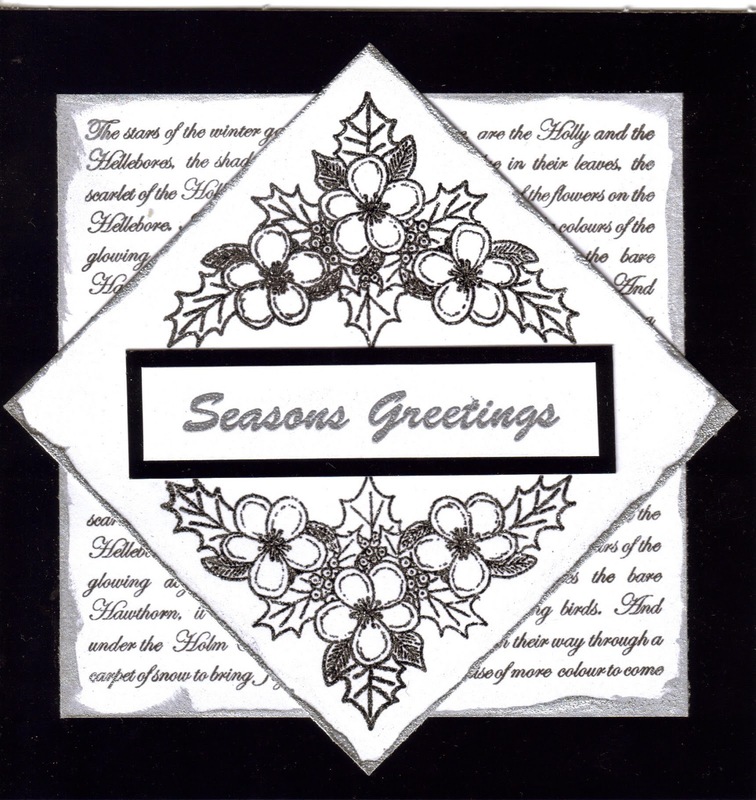 It's one of the first Christmas stamps I drew about 8 years ago when Oak House Studio was born. For my project I've made this Christmas hanger using the Acrylic Inks on Acetate and full details are on the Oak House Studio blog today. The Acrylic Inks dry beautifully on the wood and acetate so I'm thinking they'll be great for metal and glass painting too.....and they are such a deep vibrant colour. 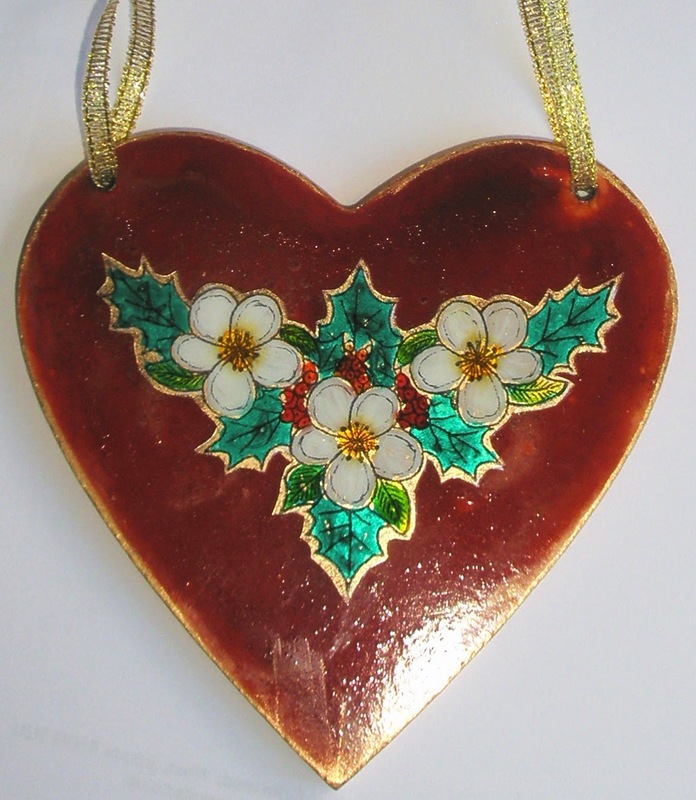 I've also made an Inchie necklace using a 1" square piece of Stambord - a new product on the Oak House Studio website. For this I stamped a section of the Christmas Corner, painted with the Acrylic Inks and sealed it with 2 layers of clear embossing powder. The Christmas Corner is lovely for making cards too and here are a few more ideas. As you can see it is detailed enough to just stamp for quick and easy cards or it can be layered and beads added etc. For more ideas please visit the Oak House Studio blog (8am-8pm) or take a look on Facebook - at the Oak House Studio page or Inkspired by Oak House Studio - this is a closed group to keep out the spammers but if you would like to join, just ask! 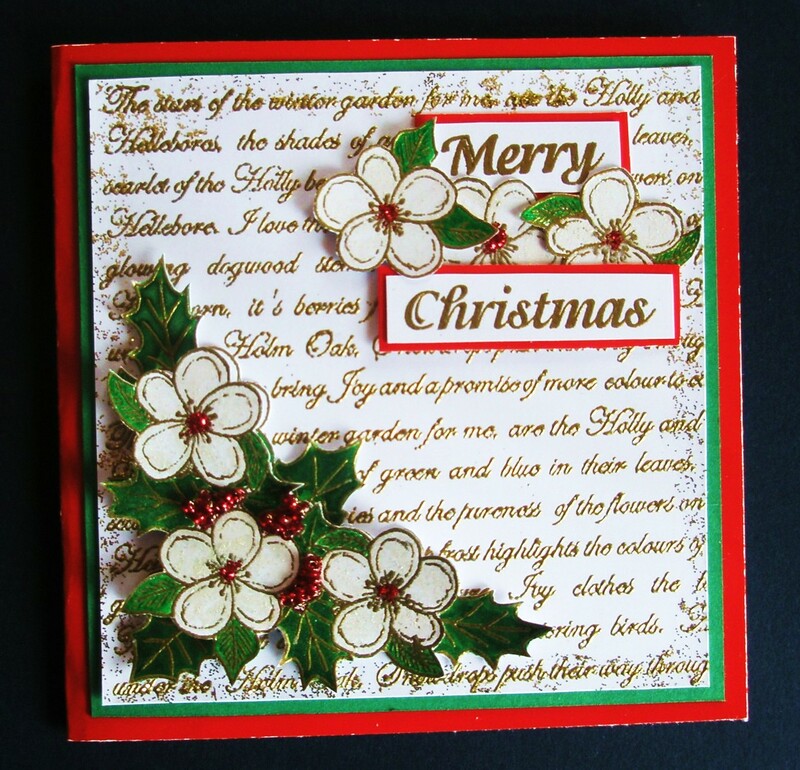 Many thanks for looking and I hope you find some ideas ready for those Christmas makes!! These are all stunning, thank you for your comment on my blog. I am a new follower. Hi Elaine,you are make a much of beautiful things!! !The heart and the nicklace are fantastics!! !